One Panel Interior Door offered feature traditional style that provides the charm and look which goes with any of the décor. With the panel door offered featuring raised as well as flat panel design, it helps in enhancing the look and feel of any contemporary style home. 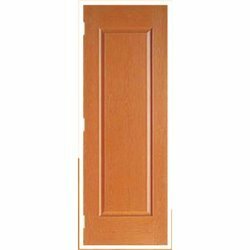 Here, the one panel door can be made available in different wood species as well as in primed finish options. Here, matching one panel door bi-folds are also available in single door widths of 18", 24",26", 28", 30", 32", 34", 36", 42" and double door widths of 36", 48", 52", 56", 60", 64", 68", 72". Can also be made available with matching one panel door bi-folds. Looking for One Panel Interior Door ?